LAS CRUCES, N.M. — With Russia’s Soyuz spacecraft grounded for an indefinite period, NASA managers said Oct. 11 that they will look at ways to keep the current International Space Station crew in orbit for an extended period if needed. 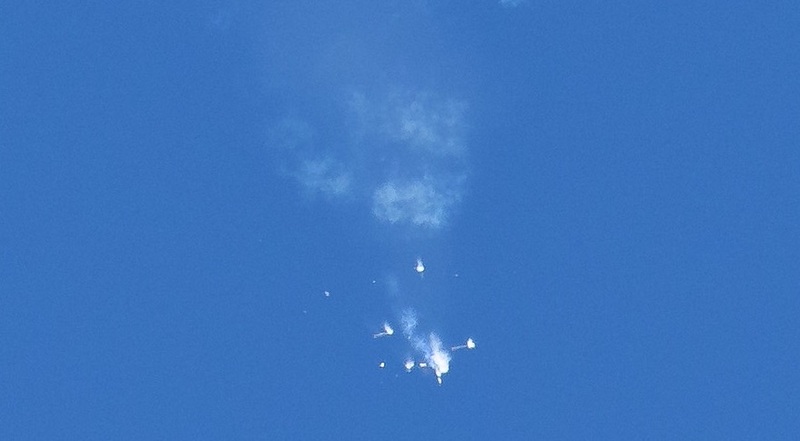 During a NASA briefing held less than eight hours after the Soyuz MS-10 spacecraft performed an emergency abort two minutes into its launch to the station, agency officials said they had few details about the incident and declined to speculate into the cause. That investigation, he said, would be left to a Russian state commission established within a few hours of the accident. “We’ll expect to hear some details on that over the next few days from our Russian colleagues,” he said. The length of the investigation is an issue since, with the Soyuz grounded, there is no means to get crews to the station. The three people currently on the station — commander Alexander Gerst of ESA, Serena Auñón-Chancellor of NASA and Sergey Prokopyev of Roscosmos — can return to Earth using the Soyuz MS-09 spacecraft docked to the station. Soyuz spacecraft, though, have an orbital lifetime of about 200 days based on testing of the ability of the spacecraft’s components to handle the space environment. With the Soyuz MS-09 spacecraft launched to the ISS June 6, that lifetime limit would be reached in late December. “There’s a little bit of margin” on that lifetime, Todd said, “but not a whole lot of margin.” The Soyuz would likely reach the end of life by early January, he said. He emphasized that there was no urgency to make any decisions about station operations. The station has plenty of supplies, he said, and the only major near-term issue is rescheduling a pair of spacewalks planned for late this month that would have involved Nick Hague, the NASA astronaut on the aborted Soyuz mission.